We spend a lot of time on this podcast talking about how to use technology to meet people we might not otherwise have access to. What often gets missed in these discussions is the question of how much access is too much. Alexander Weinstein is the author of the critically acclaimed Children of the New World – a collection of short stories about a dystopian future where digital technology has taken over. In today’s episode, we discuss how to make sure our online tools don’t become a substitute for reality itself. 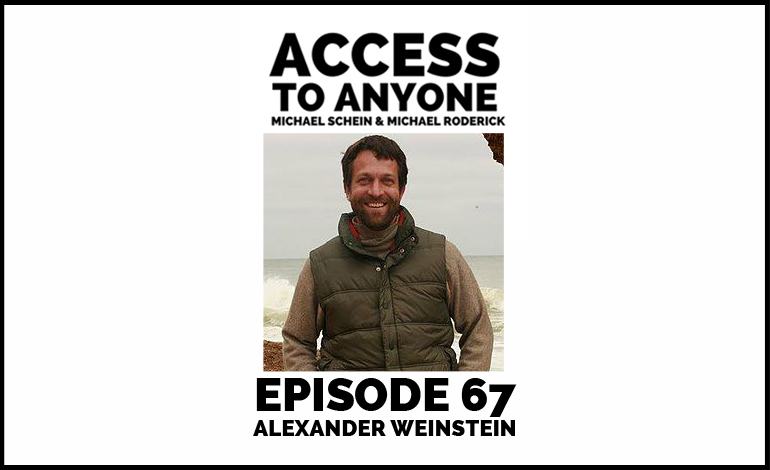 Alexander Weinstein is the Director of The Martha’s Vineyard Institute of Creative Writing and the author of the short story collection Children of the New World (Picador 2016). His fiction and translations have appeared in Cream City Review, Hayden’s Ferry Review, Notre-Dame Review, Pleiades, PRISM International, World Literature Today, and other journals. He is the recipient of a Sustainable Arts Foundation Award, and his fiction has been awarded the Lamar York, Gail Crump, Hamlin Garland, and New Millennium Prize. His stories have been nominated for Pushcart Prizes, and appear in the anthologies 2013 New Stories from the Midwest, and the 2014 & 2015 Lascaux Prize Stories. He is an Associate Professor of Creative Writing and a freelance editor, and leads fiction workshops in the United States and Europe.